Recently, I heard “no” three times in two weeks. Three different people, three different situations. The no’s came with mighty disclaimers of how great I am, how fantastic my work is, how needed my ministry is. But, they were still no’s. Ouch. Sometimes, I feel like my dreams are dying. It can feel terribly sad to bury a dream. Even in the midst of the emotion, I am realizing that it’s not all together a bad thing to let go of things for which we’ve really hoped. Today, as I was driving home and processing it all (for probably the 100th time), it occurred to me: I am not alone in feeling this. Some of you who are reading this blog today feel like you could have just written these words, don’t you? The truth is, all of us bury dreams sometimes. This past week, I heard a great sermon on the parable of the mustard seed, and I was reminded how God makes big things out of little things. So, today, when I told God that I felt like I was burying my dreams, the parable of the mustard seed came back to me. And I began to wonder, what if my dream is the little thing? 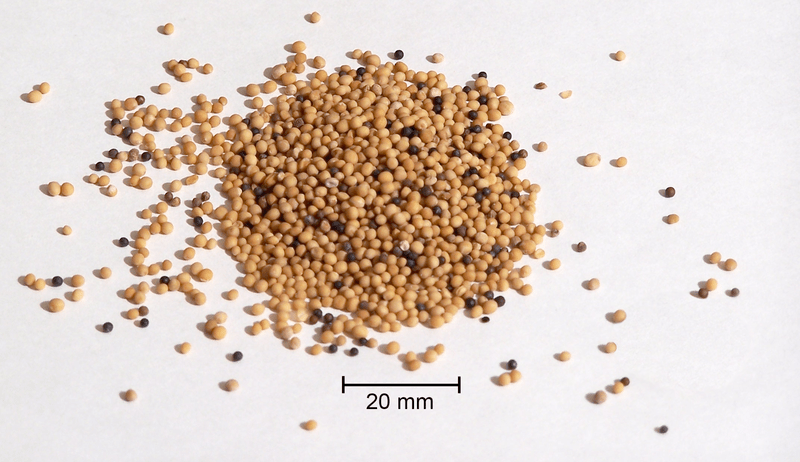 What if the dreams of humanity are really small, like those little mustard seeds? If, in fact, God plans to do exceedingly abundantly more than we can ask or imagine, wouldn’t it make sense that we can bury our own dreams, confident of God’s plans to bring something that we couldn’t even imagine? I am preaching to myself today. Don’t we all have days like that? But, since I know I’m not alone, I am also preaching to you, friend. If you feel like you’ve buried a dream, or if you’ve heard “no” more often than you’d like in the past days or weeks, I am here to encourage you. God has a plan for your life. When you are able to let go of your own dreams and lean in to His plan, He creates far better things. Bigger things. Unimaginable things. Thank you Christy! I needed to read this today. I am burying the dream of being married to a man I had been engaged to until May when I called off the wedding, sensing it wasn’t God’s plan for my life. I have found myself struggling with surrendering my hopes to God and trusting Him, trusting Him with the time and space to do Immeasurably more than I dare ask or imagine. Thank you for the timely encouragement!